Just in time for all your Black Friday shopping needs! It's the Blood Angel Ammo Analysis! Are the new Rogue One blasters everything we've asked for? These have already been showing up on store shelves. Hasbro has a rocky history with it's licensed products. Traditionally their size and function is aimed toward it's younger audience. But with the FOST blaster this last season being decent is there hope for more on the horizon? It looks like the Captain Cassian Andor blaster may be what we've asked for for a long time. 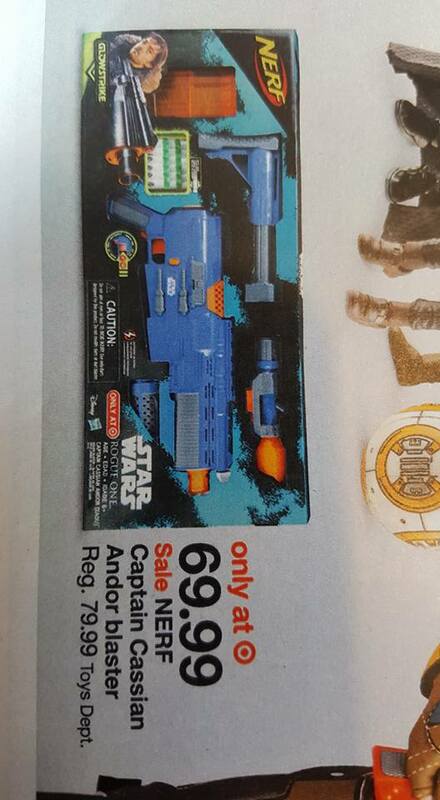 It looks to be a flyweel blaster, and marks the notable return of the Raider stock. Let's hope that this is a true collapsible stock that we've all loved. The price is a bit steep, but considering it also comes with what looks to be a re painted Modulus scope and Spectre barrel, it may be the blaster we've always wanted. Plus this is part of the new Glowstrike line. That's a lot packed into one blaster and it looks like the form factor is significantly larger than the previously released FOST blaster. Hopefully the ranges are increased along with the size. At the moment this looks to be a Target exclusive, so keep your eyes out for early shelf stocking, or get ready for it's presumable drop on Force Friday (Sept.30th). 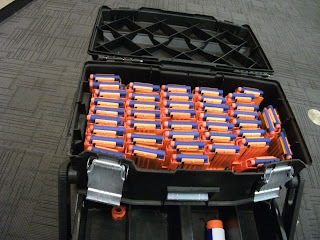 Photos courtesy of Mark Yabut of the Nerf Modders Welcome Facebook Group. 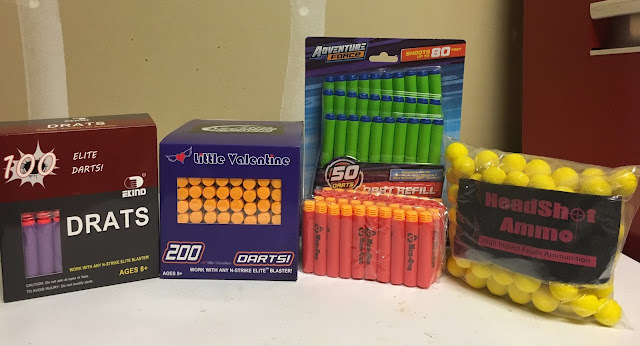 The new line of Dart Zone blasters promises new blasters, 80ft ranges, and perhaps most exciting; Nerf compatible "Superdarts." Now with 100% more Cornucopia rounds! It's back with even more ammo to analyze!!!! I just realized we haven't posted pictures from Saturday and Sunday at Silicon Valley Comic Con 2016! Check out this link or the galleries below! We had a blast and can't wait for the next con! Adult Fans of Nerf Announcement - Check out and subscribe to our next evolution of the Adult Fans of Nerf: Nerd Drop! Pop on over to watch.nerddrop.com! 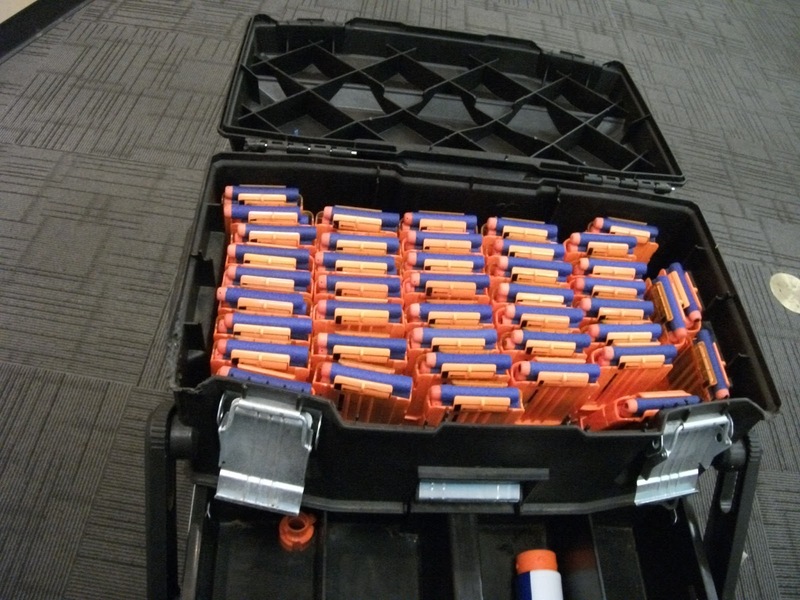 Copyright © 2012 Bay Area Nerf. Powered by Blogger.